For this functionality you have to register (free of charge). I have read the GTC and agree with them (>GTC). You will receive an email to the specified email address to confirm your registration. Please note: The confirm-mail for the registration might be sorted in your spam-folder.. The rating follows the star princicple. One star for non sufficient, up to five stars--meaning excellent. Non existing facilities get a "n/a"(not applicable). In order to have a closer look of the subcategories please click on "A" to "D". Click on the link below and confirm the registration mail you recieve. Pleae have a look at your spam file with regards to the confirmation e mail. Please click on "EN" on language box on the top right. Here you have the chance to search for riding stables or riding schools near you. Please enter the State, ZIP and City as well as a search radius. Additional you can narrow the search by specifying if you are looking for a riding school or a boarding stable. 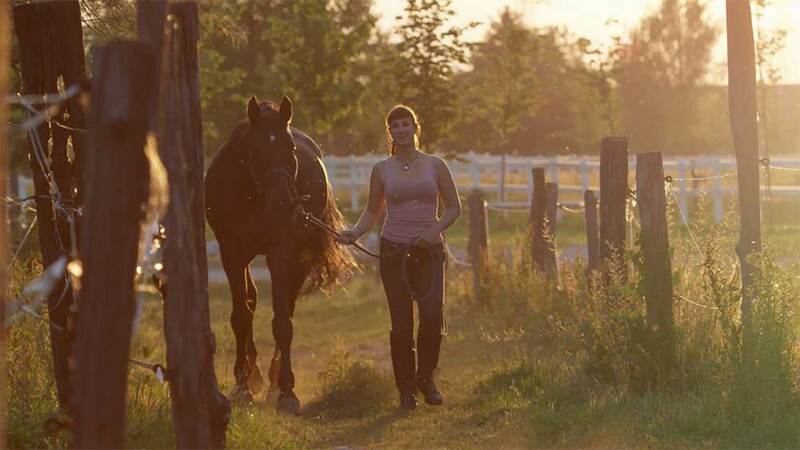 Where of course riding schools will most likely offer riding lessons near you. If you are just looking for horses near you, of course both options are possible. If you are searching outside the US you can choose the Country as well. Once the search results are shown on the google map, you can click on “further information” in order to get the detailed information of that boarding stable/ riding school. It will show you 4 main categories. A) Riding Facility. B) About the Horse. C) About the Rider. D) Lessons/ Training. Once you click on one of the main categories up to 12 additional sub categories will be shown. Additional comments can be read and/ or made (for registered users only). Based on the Wiki principle, we would greatly appreciate if you take your time and add the stable your hoarse is boarded at (as a rider, not necessarily as the stable owner) or add and rate the riding school you recently had riding lessons. This will help other horse riders finding the perfect horse riding stable near them!